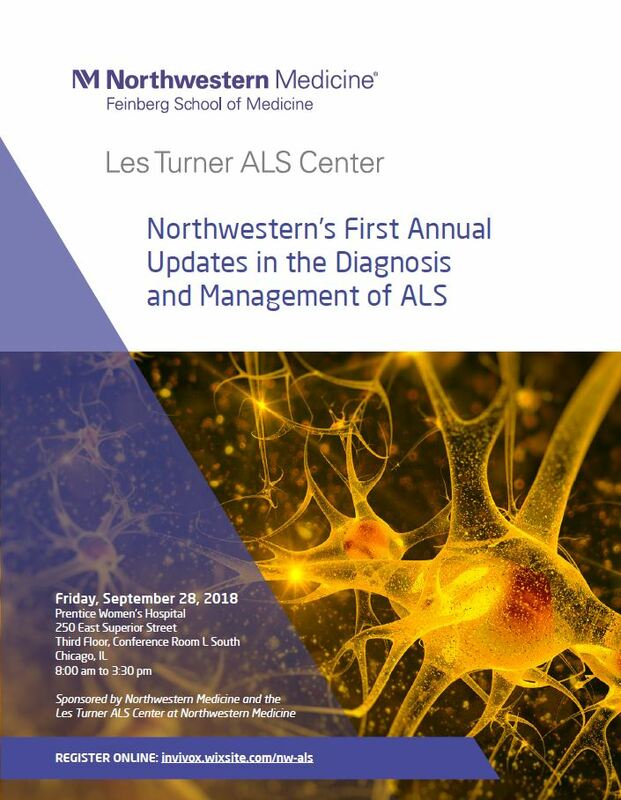 On September 28, the Les Turner ALS Center at Northwestern Medicine will be hosting Northwestern’s First Annual Updates in the Diagnosis and Management of ALS. The conference will host medical professionals from across the midwest to discuss the Center’s comprehensive clinical model and how our system of coordinated care allows every aspect of the disease to be treated. Our expert team of clinicians will share what has been proven effective in treatment and how the Louis Insolia ALS Clinic is providing a higher quality of life for people living with ALS. 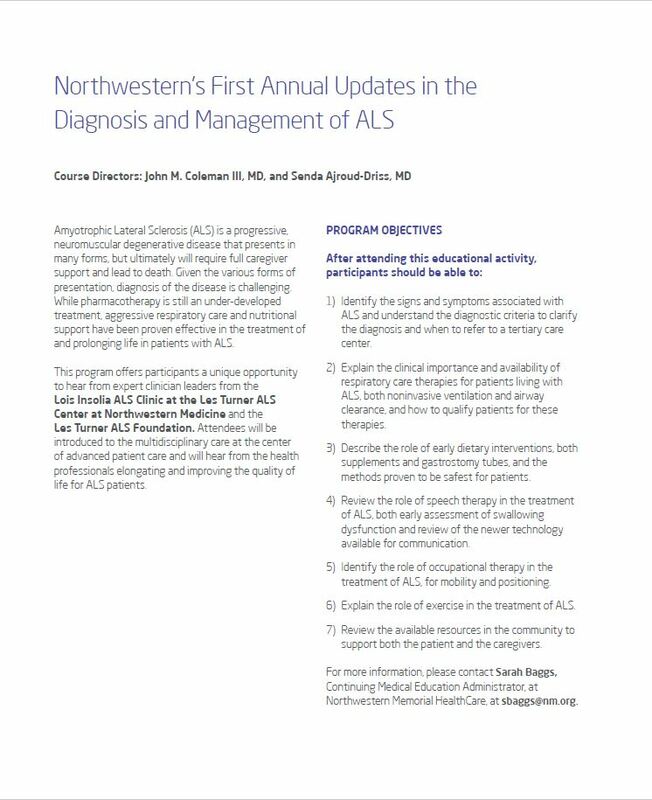 To register for Northwestern’s First Annual Updates in the Diagnosis and Management of ALS, click here.